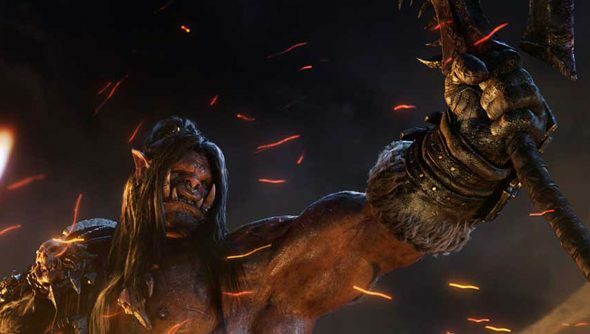 WoW’s 6.0.2 patch has been dubbed the Iron Tide, and is best envisioned as a wave of iron filings pushed across a table by the sheer magnetic force of next month’s Warlords of Draenor expansion. Tuesday’s update will introduce an orc-caused world event, a new max-level dungeon in the Upper Blackrock Spire, and open up neglected character names to newcomers. Once the patch is out, players of both Horde and Alliance persuasions will receive reports of odd-looking orcs rushing through a portal into the Blasted Lands, and be sent to counter the “first salvo in a much larger conflict”. The new world event concerns the same Dark Portal we’ll take to Draenor in a month’s time. A specially-revamped, five-player version of Upper Blackrock Spire will be available to level 90 characters from October 14 for a limited time – and will lay down the lore ahead of the expansion’s “counterstrike” against the Iron Horde. “Here, you will face Orebender Gor’ashan, Kyrak, and Commander Tharbek as you begin to take the fight to the enemy and sharpen the skills – and swords – you’ll need to succeed on an unwelcoming alien world,” say the developers. Meanwhile, any characters unused since November 13, 2008 will lose their monikers come Tuesday. Players with a nostalgic need to preserve their names will want to log them in, one by one, before the patch goes live. Check the test realm 6.0.2 patch notes for more on updates to class skills and abilities, inventory improvements, and a revamped group finder. I’m sure we’ll be writing about all that in the weeks to come. Will you be joining the drive into Draenor?